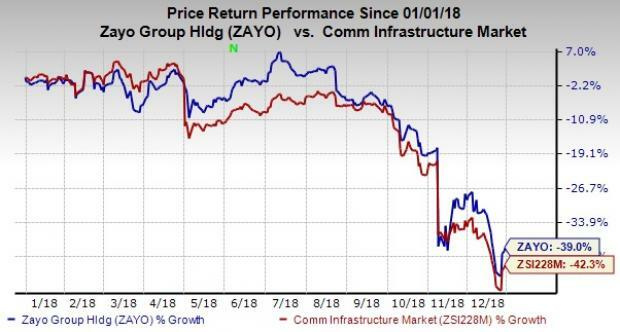 Zayo Group Holdings, Inc. ZAYO recently announced that it has been chosen by a global Software as a Service (SaaS) company for the latter’s data center colocation to meet rising demand. The bandwidth infrastructure solutions provider did not disclose its customer’s name. Per the agreement, Zayo will provide expanded colocation space in a Midwestern data center while enabling the customer to secure additional space and power in 2019. Notably, the solution is expected to double the customer’s data center footprint. Zayo’s extensive network footprint, comprehensive product portfolio and ability to penetrate in different markets are laudable. The company has expanded its fiber networks in four European markets, including London, Paris, Dublin and Amsterdam to deliver fast, high-capacity fiber to key centers of technology and commerce. It also announced that Quantum Xchange has selected its services for a dark fiber solution to power the first Quantum Key Distribution network in the United States. The 530-mile route will extend from Boston to Washington D.C., leveraging Zayo’s existing network along the eastern corridor. The company’s ability to scale, which benefits from its high-quality data center footprint, helps customers to meet increasing demand while ensuring business growth. Its 51 zColo data centers across 30 markets aims to deliver the scale, security and reliability required by SaaS providers to ensure uptime of service. On the other hand, SaaS providers are leveraging Zayo’s global fiber network and interconnection capabilities to boost application and service delivery to clients. Such strategic collaborations augur well for Zayo’s future growth and ensure a steady revenue stream. Furthermore, Zayo is on a constant lookout for strategic acquisitions to improve its operating leverage, extend network reach and broaden customer base. In fact, the company announced its plan to separate into two publicly traded companies to focus better on its businesses. One of the entities will focus on providing core communications infrastructure while the other will leverage infrastructure to provide solutions for a broad set of enterprise customers. The company expects the process to be complete in late 2019. The company’s shares have lost 39% compared with the industry’s decline of 42.3% in the past year. Zayo currently has a Zacks Rank #3 (Hold). Better-ranked stocks in the broader industry include Arista Networks, Inc. ANET, ARRIS International plc ARRS and Harmonic Inc. HLIT. 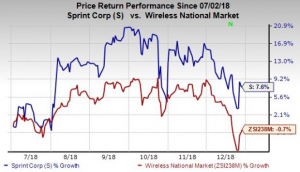 While Arista sports a Zacks Rank #1 (Strong Buy), ARRIS and Harmonic carry a Zacks Rank #2 (Buy). You can see the complete list of today’s Zacks #1 Rank stocks here.